HOW ARE YOU LOVING YOUR NEW DRAPES? Use code LANDYN15 for 15% off your entire purchase. I have gotten several questions about the company that we used for the new drapes in our master bedroom and living room. I am going to do a full reveal of them later this month, but I wanted to answer your questions, so you didn't have to wait for the information. We worked with a company called Loom Decor and I can not say enough good things about them. Loom Decor is a custom home furnishing company that provides designer drapes, shades, and outdoor decor. Here is the best part.....all of your custom pieces ship in just 2 weeks. Remember 10-14 day drapes?! If you have ever ordered from a drapery workshop you know this is unheard of. Loom Decor actually has a showroom in Nashville, so I was able to work with a team of stylists in person to select and order my drapes. However, the bread and butter of Loom Decor's business is all online so you are able to order your custom pieces from anywhere in the country. All you have to do is head to their website and pick the type of product you need to get started. One of the best perks of using Loom Decor is that you get access to a virtual stylist who helps you select the right product, look, and fabric for your space, all for free! They will set you up with a video chat session and you can talk to your stylist about the pieces you need and the look and feel you are going for. They will them make recommendations of products and fabrics based on your style. They will ship you free fabric samples so you can see you the suggestions in person. They will also connect you to a professional installers who will help you measure your windows to insure you are ordering everything correctly and will then come install them for you. It is the best! Loom Decor has been so generous and is offering my followers 15% off their entire order with the code LANDYN15. WHAT'S THE NAME OF THAT PLACE YOU ORDER YOUR MEAT FROM? We order our meats from a company called Butchery Fresh. The thing that we love about them is that the meat is fresh, not frozen, when it is delivered. Most of the other steak/meat delivery companies out there ship their meat already frozen. We love knowing that it is coming to us completely fresh. 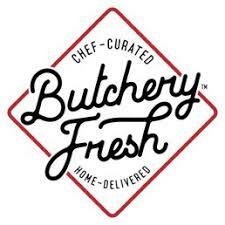 Butchery Fresh actually is a division of a foodservice company that provides meats to some of the best chefs and restaurants in the country. They tapped into that network of chef's to have them hand select the best cuts from their favorite farms in the country. The meat really is so good and the prices are super competitive compared to if you were going to go to your local specialty butcher to get some of these types of meats. I would definitely recommend and may I add, a GREAT gift idea! Promo code ALLTHETHINGS at checkout for 25% for the month of February. WHAT SHOULD I GET MY BRIDESMAIDS FOR THEIR GIFT? It has been quite a while since I had bridesmaids or was a bridesmaid, but I can definitely help you out with some ideas of things I would like to receive if I was a bridesmaid. I love the idea of getting them all Instax Mini Cameras so they can capture the night. You could also get them a cute pair of flip flops that they could wear at the reception so they don't have to stay in heels all night. I also love the idea of a curated gift box for each of them. I love the company Box Fox. They offer a precurated bridesmaid box or you can customize you own based on each bridesmaids taste. I sourced more of my favorite gift ideas below.